More Americans are trying to live a healthier lifestyle and for many, that means cutting back on sweets and foods high in unhealthy fats and sugars. That doesn’t mean you can’t still enjoy treats and desserts. 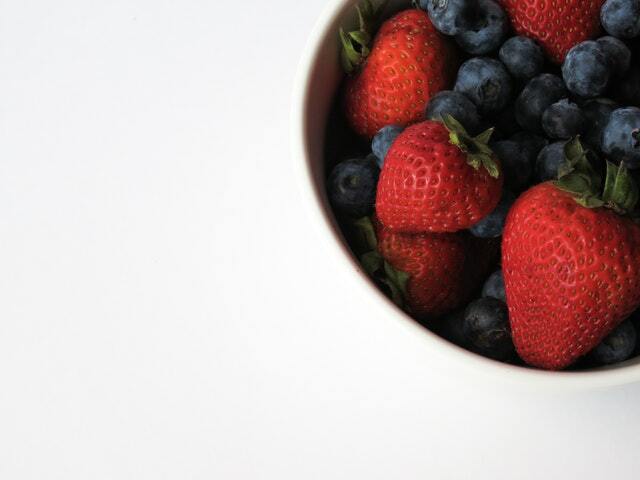 At Midway Family and Cosmetic Dentistry, we want to provide our patients and community with some tips to help fight our sweet tooth and enjoy healthy snacking! These are many alternatives that will satisfy your cravings while also maintaining a healthy diet. Many desserts are laden with butter and oil, which can really damage a healthy diet. Substitute with these healthy cooking options instead. Applesauce – Unsweetened applesauce can be used in place of butter or oil, and adds moisture to cakes and sweet breads without the extra fat and calories. It can also be used in place of eggs when baking. Substitute 1/4 cup of applesauce for each egg. Avocado – This rich fruit isn’t just for guacamole. When pureed or mashed it has a consistency similar to butter, but with the added benefit of healthy fats. It goes great in brownie or cake recipes, and is especially good when mixed with chocolate. Coconut oil – This heart-healthy oil helps to increase the body’s HDL, or “good” cholesterol. It can be used in place of butter or oil in any recipe and adds only a hint of coconut flavor. Prunes – Although this may seem surprising, pureed prunes can be used in place of butter in baked goods. Replace a stick of butter with 1/3 cup of pureed prunes for a healthy dessert packed with Vitamin A and antioxidants. 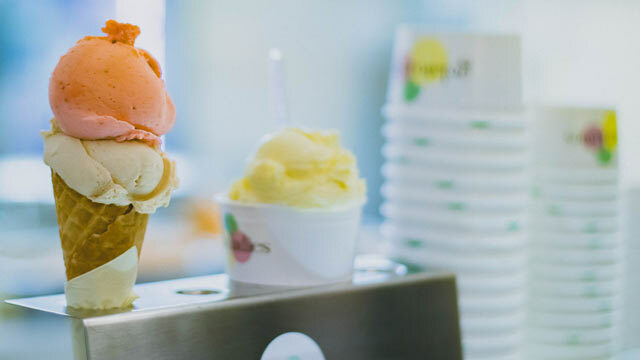 There’s nothing quite like an ice cream cone on a hot summer day, but the high sugar and fat content coupled with cow’s milk can make it difficult for some people to digest. The good news is there are plenty of other frozen healthy desserts to enjoy. Banana Ice Cream – This dessert couldn’t be simpler. Simply take frozen, cut bananas and puree them in a food processor for a delicious, frozen treat. It has the consistency of ice cream without the added fat and sugar. It’s also a great alternative for those that suffer from lactose intolerance because it is completely free of dairy. Fruit Sorbet – A frosty, healthy treat can be made in minutes with frozen fruit and raw honey or agave nectar. Combine frozen chunks of your favorite fruit, such as watermelon, peaches, raspberries, or mangos, in a food processor with a drizzle of your preferred natural sweetener. Add warm water a tablespoon at a time until the desired consistency is reached for a healthy alternative to store-bought sorbets that are packed full of added sugar. Coconut Ice Cream – If you have an ice cream maker, you can make your very own homemade coconut ice cream in just a few short steps. Blend together coconut milk, vanilla extract, and a natural sweetener such as raw honey or maple syrup. Pour the mixture into the ice cream maker and follow the directions for your particular model. This is a healthy, dairy-free alternative to traditional ice cream that has the added heart-healthy benefits of coconut milk. Healthy cooking doesn’t have to be boring and tasteless. Enjoying healthy desserts can be done in a matter of minutes with these quick treats. 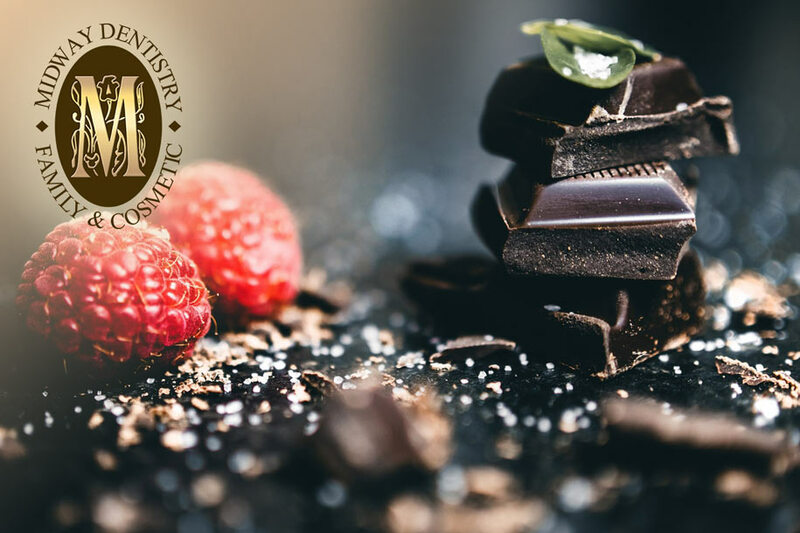 Dark Chocolate Covered Strawberries – Rich in antioxidants, dark chocolate is a sweet treat that is also good for your heart. Combining them with strawberries, which are packed with Vitamins C and K, makes for one healthy dessert. Simply melt the dark chocolate and dip each strawberry. Place on a baking sheet until the chocolate hardens, then enjoy. Energy Bites – If you love the taste of an oatmeal or peanut butter cookie, this recipe is for you. Packed with protein and whole grains, these energy bites are the perfect afternoon snack or healthy dessert to end your day with. Best of all, there’s only 3 ingredients. Mix 3/4 cup of natural peanut butter, 1 3/4 cup old fashioned oats, and 1/3 cup raw honey til combined. Form into balls and refrigerate for 1 hour before digging in. Ricotta-Stuffed Dates – Packed with potassium, dates are a true superfood. Stuffing them with ricotta, which is lower in fat than cream cheese, makes for a wonderfully surprising dessert. Combine 1/4 cup low-fat ricotta cheese with 1 tsp raw honey. Slice each date lengthwise and remove the pit, then stuff with the ricotta mixture. They can be enjoyed immediately and are best at room temperature. We hope some of these great recipes, desserts and snacking options will help curb your cravings for sweets. If, when you bite into something sweet, you notice any pain or discomfort, it could be a sign of a cavity or further decay. Don’t hesitate to reach out to us when you’re in need of a checkup or a routine cleaning. And please subscribe for more great tips and healthy hygiene ideas on our blog!